Hey y'all! 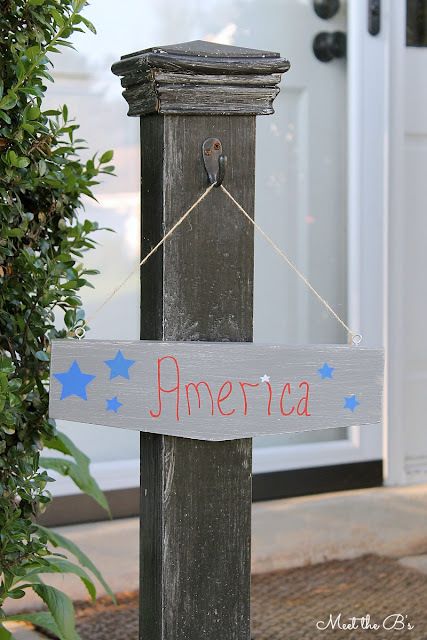 I can't believe the Fourth of July is this weekend!!! Summer is flying!!! I have to work this Fourth of July (booooooo! ), so I won't be celebrating, but it did give me a good excuse to make a new seasonal sign for our wooden sign post!!! Do you remember this post from our home tour? My parents made it for me when we moved into our house as a gift. They saw it on my Pinterest and decided to make it! Aren't they awesome?! I love my crafty family! I'm slowly making signs for each holiday and/or season. Check out the fun fall sign I made this past year! Alright here we go. This sign was pretty basic and easy to do. My parents did the hard work for me and included a few blank signs all ready to go with twine and everything. 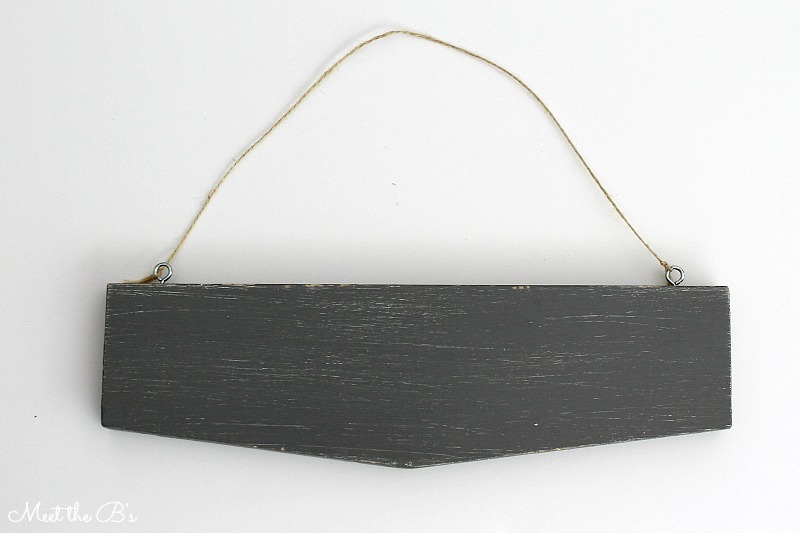 But if you're starting from the beginning, cut up some pieces of scrap wood, paint them, screw in some fish eye hooks, and hang some twine! Easy peasy! 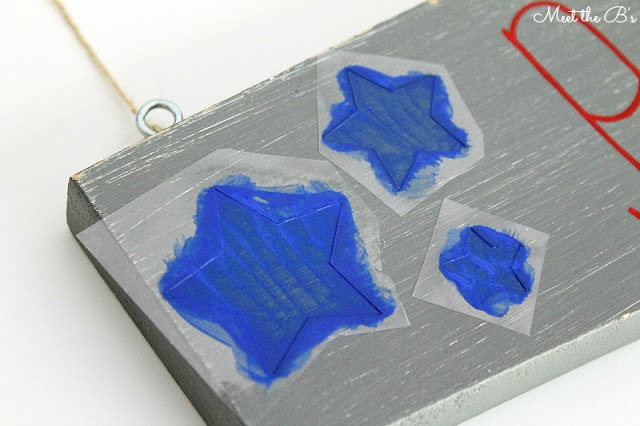 Then I used some star shaped stencils* and blue acrylic paint to make the stars (because I am oh so terrible at free-handing stars!). 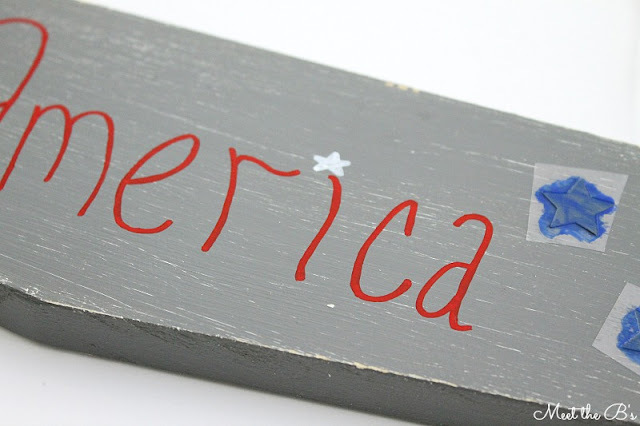 Then I used a red paint pen and just free-handed the "America" text and added a white star over the "i" with another paint pen. I actually wanted to write 'merica because that's how we proudly yell it when we go "Americamping" with our friends, but my hubs told me our elderly neighbors might think that was disrespectful, which I totally understand. So America it is!!! And that's it!! 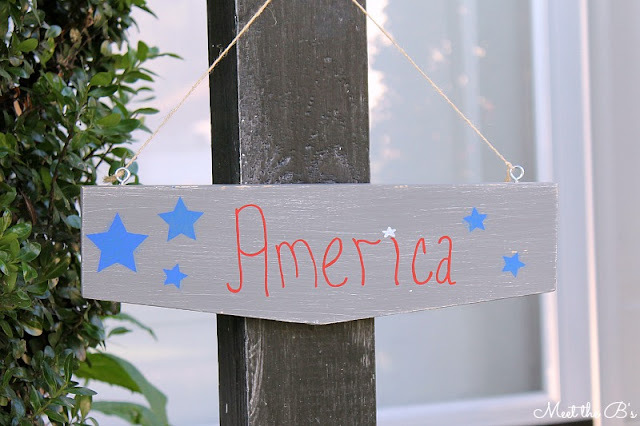 Super easy and quick to make! And perfect for the Fourth of July or Memorial Day!